The University of Southampton’s £25 million campaign to build a new cancer research centre is three quarters of the way to hitting its target thanks to a grant from the Solent Local Enterprise Partnership (LEP). The £4.5m grant will help the University build the Centre for Cancer Immunology, the first of its kind in the UK to advance research into an innovative and effective treatment for cancer. The grant allocated through the Solent Local Growth Deal is the largest contribution made to a University backed project by the Solent LEP to date and recognises the impact the new Centre will have, not only on the local community but on a national scale. 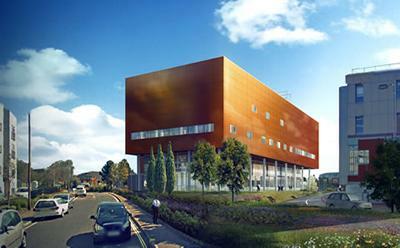 The Centre, which will be based at Southampton General Hospital, is expected to open in 2017 and will bring world leading cancer scientists under one roof and enable interdisciplinary teams to expand clinical trials and develop lifesaving drugs. The new treatments being developed by Southampton scientists, in the form of vaccines and antibodies, direct special immune cells against cancers. These ‘killer’ cells can control and shrink cancer and give long-lasting protection. 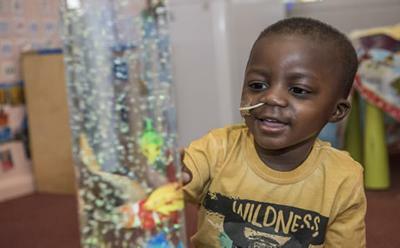 The University is developing treatments to target some of the most aggressive forms of the disease including cancers of the lung and skin, and childhood neuroblastoma. One patient that has benefited from Southampton’s research is three-year-old Phelan Jordan. Phelan was first diagnosed with neuroblastoma when he was just 18 months old. Now aged three, Phelan is home and doing really well, following participation in an immunotherapy trial at Southampton. Gary Jeffries, Solent LEP Chairman, comments: “At the heart of our strategy to transform the Solent economy is investing in sectors where we have the potential to be truly world leading. Our investment in Southampton will build on the University's long-standing track record in innovative immunology research and the new Centre has the potential to catalyse growth right across the Solent area in new start-ups and established life science businesses." More information about Phelan’s story can be seen at https://www.southampton.ac.uk/youreit/phelans-story/.